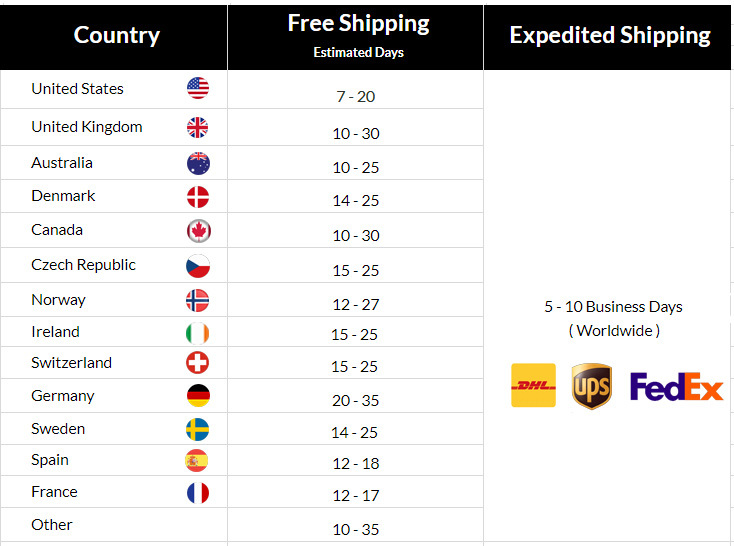 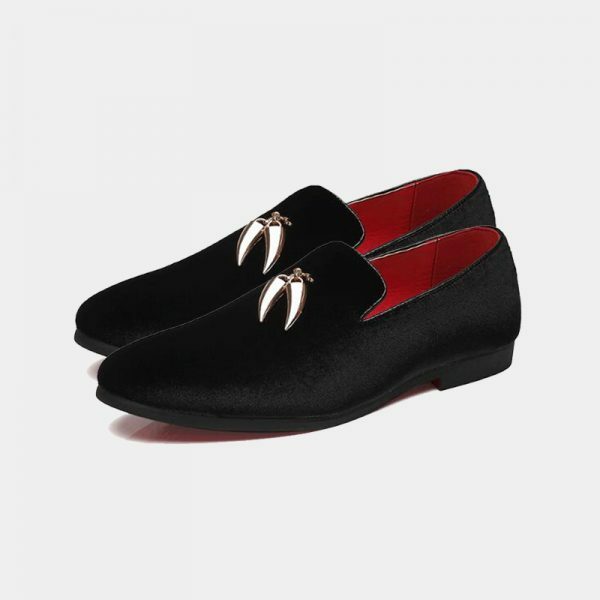 Are you looking for a stylish and sophisticated way to improve your wardrobe without breaking the bank? 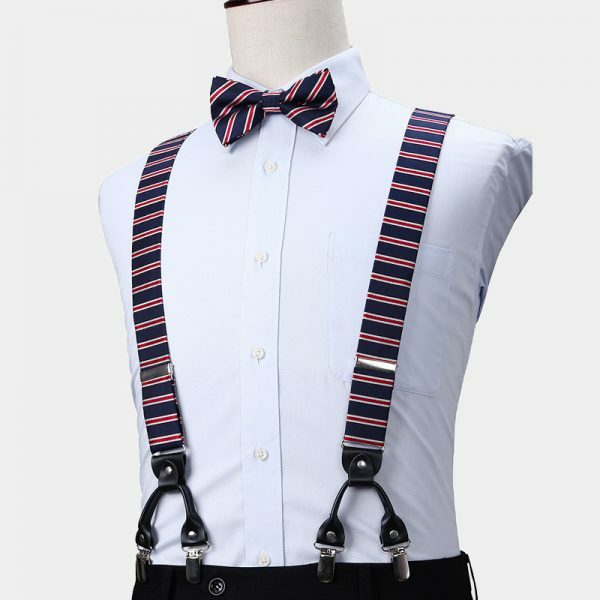 This gentleman’s navy blue and red striped bow tie and suspenders set makes a smart addition to your collection. 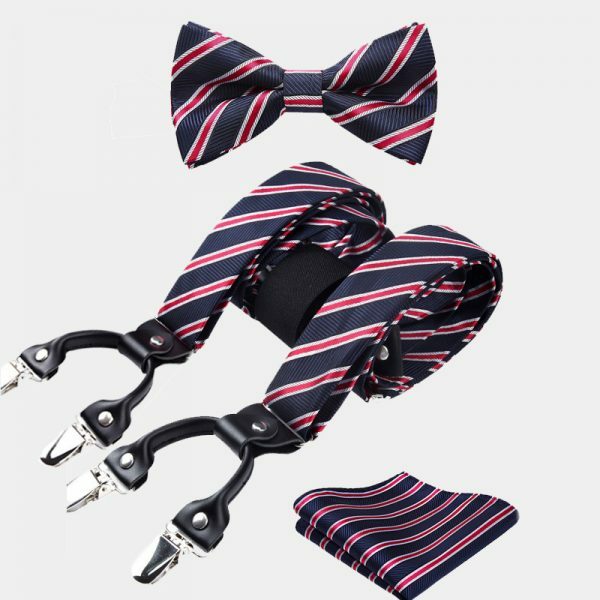 This handsome set of accessories makes a wonderful addition to your casual looks as well as to your or office attire. You can also add this gentleman’s navy blue and red striped bow tie and suspenders set to your special occasion or formal wear. 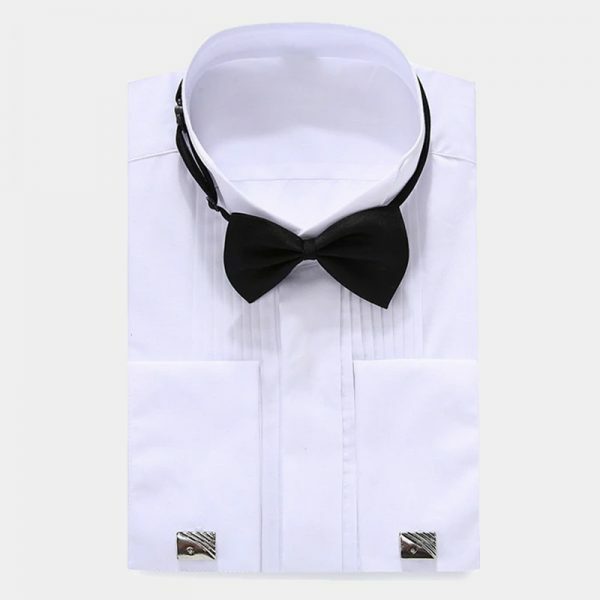 It makes a unique alternative to the standard black bow tie. 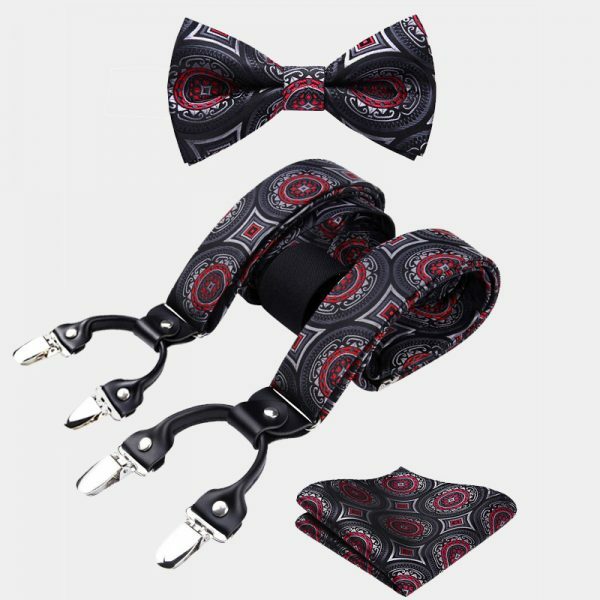 These attractive accessories are handmade to create this high-quality set. 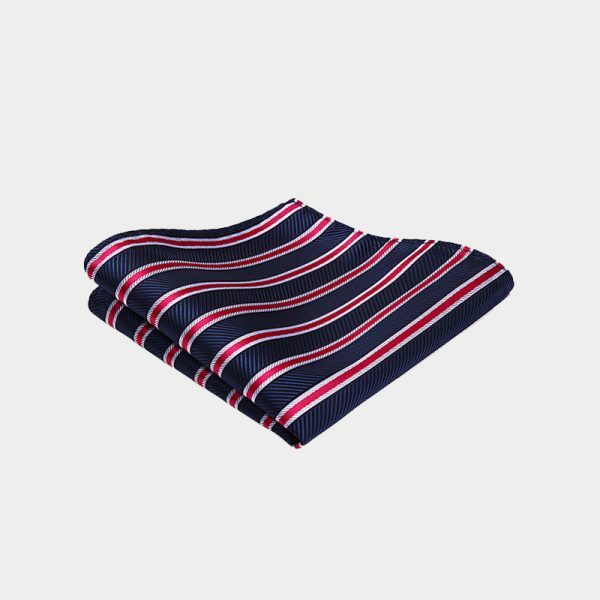 The navy blue and red colors as well as the classic striped pattern, create a distinguished combination. 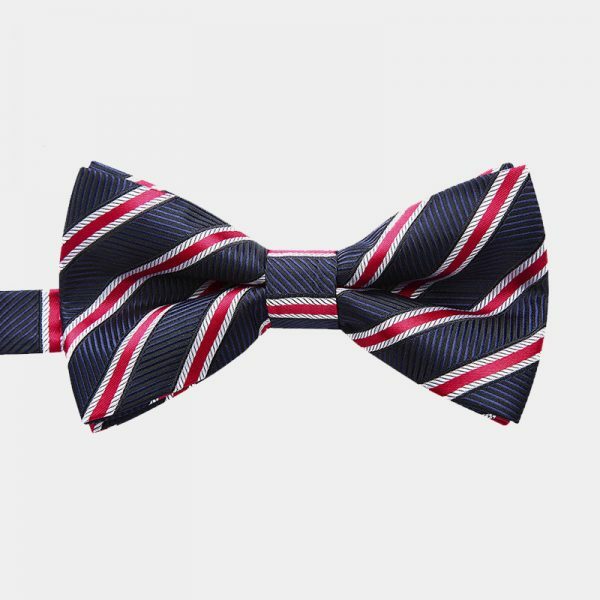 This no-fuss striped bow tie is pre-tied as well as easy to adjust. 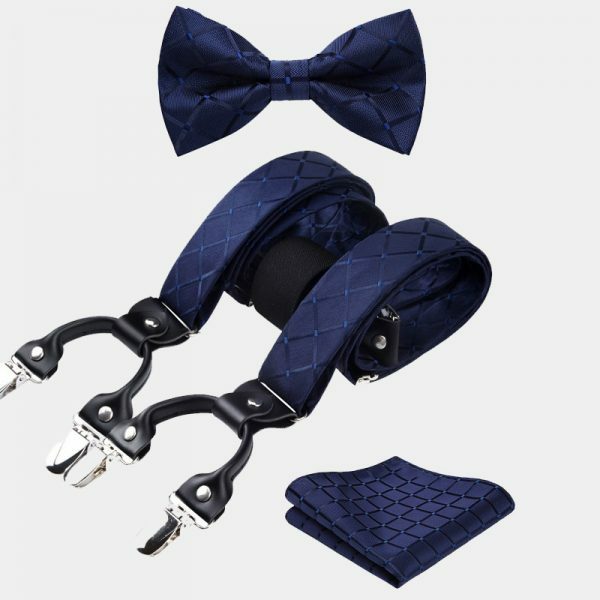 The set also has stylish suspenders that adjust to give you the right fit each time you wear them. 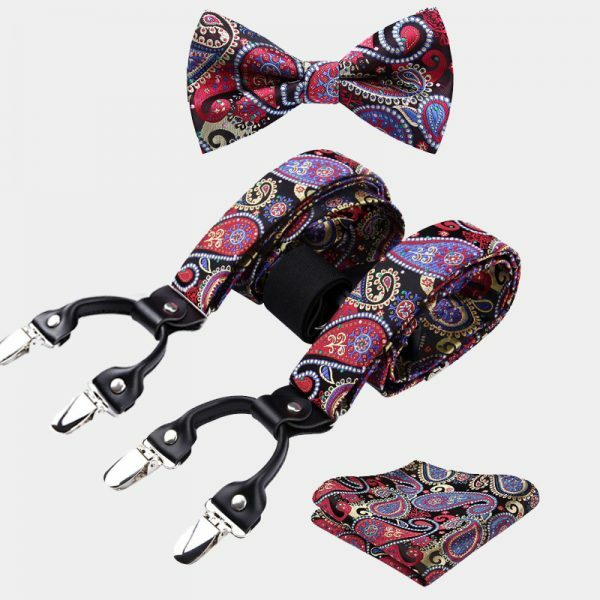 With six non-slip grip clips, they effortlessly attach to your pants. 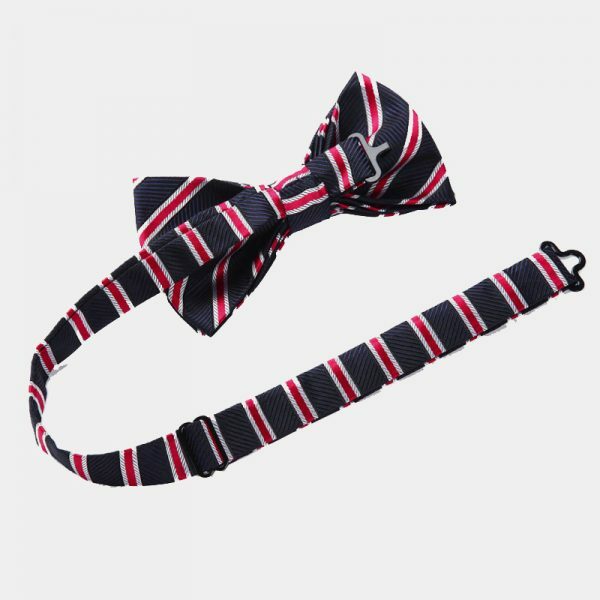 In addition, this navy blue and red striped bow tie and suspenders set includes a matching pocket square.